Why would I need self storage in Mount Vernon, NY? There are a variety of reasons why you might need self-storage in Mount Vernon, NY. How much is a storage unit in Mount Vernon, NY? The cheapest storage unit in Mount Vernon, NY is $48.00 per month. What size storage units do you have available in Mount Vernon, NY? In Mount Vernon, NY we have sizes that range from 5'x5' to 10'x20' to suit your storage needs. How much is it for a 5'x5' storage unit in Mount Vernon, NY? The cheapest 5'x5' storage unit in Mount Vernon, NY is $48.00 per month. Located just minutes from the Bronx, Mount Vernon is one of New York City's most convenient suburban communities. This thriving suburb is among the most populous cities in the state, home to a diverse population. The city has two sections; Northside and Southside. Northside Mount Vernon is home to most of the city's residential neighborhoods, while the south section is far more urban and commercial. Many people assume that Mount Vernon's name has a connection to George Washington, but that's actually not the case. The town was named long before Washington's Mount Vernon plantation was famous. Anne Hutchinson, a 17th-century Quaker settler in the area, chose the name as a nod to its green mountain. Less than an hour from Manhattan, Mount Vernon connects to the city via interstates, local roads, buses and train lines. The convenient distance to New York City, easy access to the Hudson Valley and relatively affordable housing make Mount Vernon a smart choice in Greater New York. It also offers a high quality of life with an enviable park system and some of the best recreational programs in Westchester County. Willson's Woods is perhaps the best-known park in the city, stretching over 23 acres and offering a wave pool, water playground and water slides. Mount Vernon and Westchester County are home to several major companies and large businesses. Major employers in the county include information technology providers IBM Corp. and ITT Corp., beverage companies PepsiCo and Snapple Beverage Group and finance companies Morgan Stanley and Mastercard. If you don't want to venture outside the city for work, you certainly don't have to – there are plenty of job options right in Mount Vernon. However, many locals make the easy commute to Manhattan to access the city's large and varied job market. The Mount Vernon City School District oversees the elementary, middle and high schools in the city. The district also includes an alternative high school. There are a number of private schools in Mount Vernon, with options for parochial, secular and Montessori education. Utilities: The city manages distribution of and billing for residential water. The city's main energy provider is ConEdison. Garbage and Recycling: The city's public works department facilitates collection of trash, recyclables and bulky items. Transportation: Like most of Greater New York City, Mount Vernon is very well-connected via public transportation provider MTA. 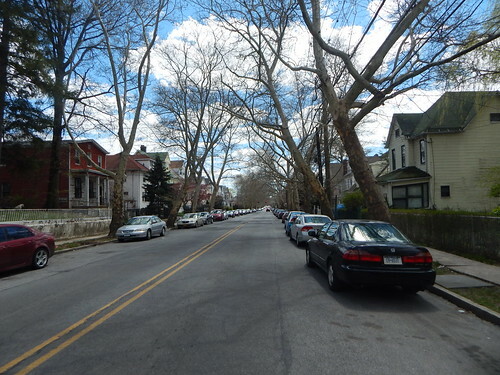 If you're seeking smaller and more affordable homes in Mount Vernon, look along the main streets of Gramatan Avenue, Lincoln Avenue and Sandford Boulevard. You can find the city's priciest homes throughout Mount Vernon, though the greatest concentration is on the north side near Hunt Woods Park. Our lowest priced units in Mount Vernon, NY average $56.50 per month. 73 people have reserved units in Mount Vernon, NY in the past 30 days. There are 2 locations within Mount Vernon, NY's city limits.